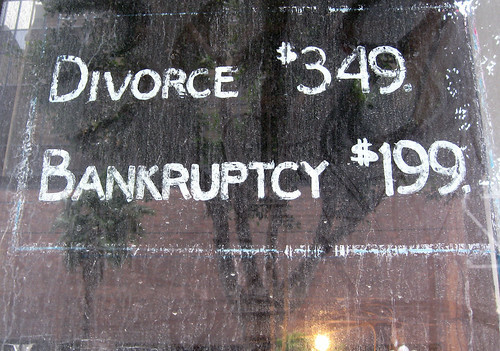 Bankruptcy | to be or not to be? Datuk Idris Jala on May 2010 said that Malaysia will go bankrupt in 2019 if we do not rationalise our subsidies. An abrupt reversal of the statement by Prime Minister Datuk Seri Najib later displayed the inconsistency of Malaysian government on this issue. The announcement of a proposed RM800 million new parliament building after the reduction of sugar and petrol subsidies sparked an outrage among citizen of Malaysia, disbelieved with the minister shooting at their own feet to justify the spending spree. The recent tabled budget for year 2011 showed the continuation of crazy spending mentality with multi-billion infrastructure projects untendered, and with dubious financial sources. The question would be, how can we be so rich but yet so poor? Malaysia RM5 Billion Warisan 100-Storey Tower! What’s this double-talk about there being no funds in the government coffers and this blatant splurging in mega-monolithic-super-behemoth-mother-of-all-budget-busting-project!